Our Physical Therapy Program specializes in evaluating and treating physical dysfunction resulting from injury, disease, medical illness or neurological conditions. Our Occupational Therapy Program focuses on improving activities of daily living (ADLs) in order to achieve a person's maximum independence level. Treatment areas include: self care activities, upper extremity strengthening, visual/perceptual training, therapeutic positioning for pressure relief or contracture management, energy conservation, safety awareness, wheelchair mobility and positioning, and equipment recommendations for ADLs. Our Speech Therapy Program is designed to enhance functional communication skills, maximize safe swallowing, and improve cognition and hearing acuity. 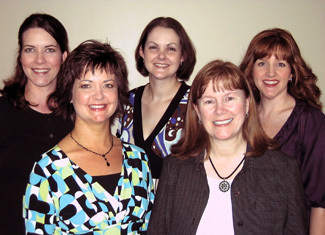 Our Speech-Language Pathologists are trained in specialized treatment techniques such as: alternative communication methods, assisted listening devices, compensatory strategies, and Vital-Stim, which is an innovative, non-invasive treatment for swallowing difficulties. ©2019 Heritage Health Care & Rehab, all rights reserved.